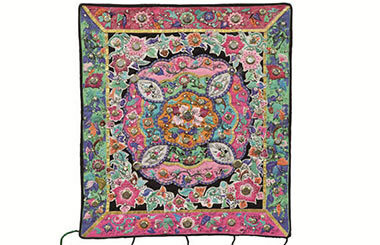 A handicraft show at the National Art Museum of China is displaying pieces of fabric. Today the village is home to some 289 Qiang people all sharing the family name of Hu.Qishuping sits upon the eastern face of the mountain at an altitude of more than 1,000 meters. 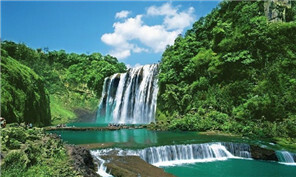 The Dragon Canoe Festival is held 20 days after the more commonly-known Dragon Boat Festival, in Guizhou’s Taijing county. 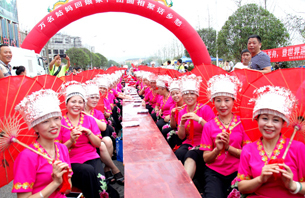 Thousands of married women gathered for a traditional long table feast in the Qiandongnan Miao and Dong autonomous prefecture on June 11. 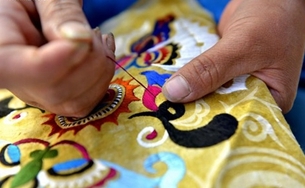 Women of the Miao ethnic group living in Wuji Village, located in remote hills of southwest China, master in their ethnic embroidery and batiks. People of Miao ethnic group celebrate the Miao Sisters Festival at Taijiang county of Qiandongnan Miao and Dong autonomous prefecture, Guizhou province, April 20.